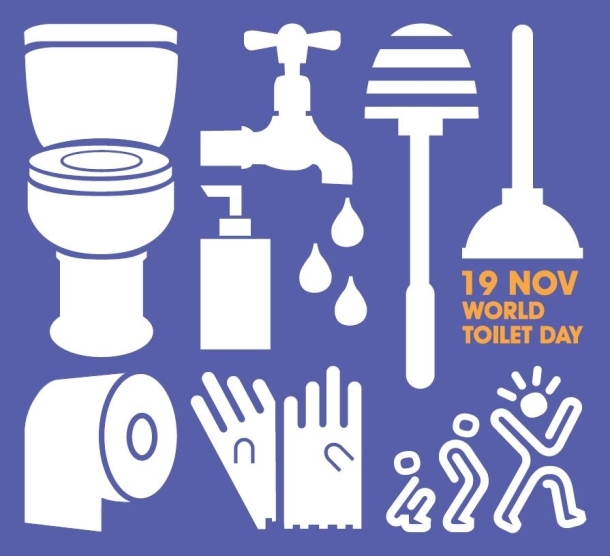 Nov. 19, 2015, marks “World Toilet Day,” which may sound like some sort of a punchline to people who have lived their lives with easy access to modern sanitation, taking it for granted. But in the world at large, one in three people — about 2.4 billion spread throughout many countries — lacks a toilet or latrine. 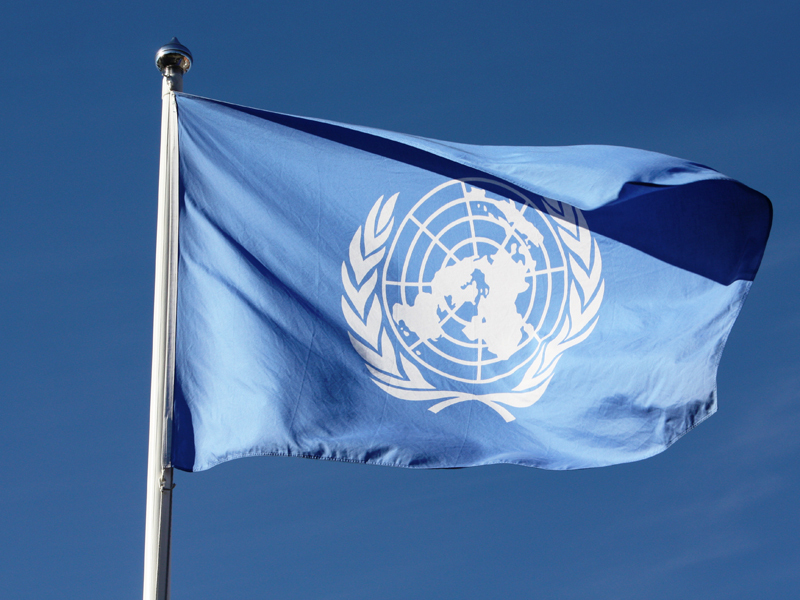 The resulting “open defecation” compromises human health, dignity and security, the environment, and social and economic development, the United Nations says. To state a few related examples, poor or absent sanitation spreads diarrhoeal diseases, a leading cause of death in children. It keeps large numbers of girls out of school, depriving them of an education. It also makes women and girls vulnerable to attack as they go outside to “go to the bathroom” (where there is no such room, and very little privacy). After the UN General Assembly and Human Rights Council affirmed the human right to water and sanitation in 2010, people first questioned whether they should be called out separately or remain embedded in other human rights in which they play a role, such as the rights to a healthy environment and an adequate standard of living. Interested parties continue to discuss whether water and sanitation should be one right or two. They’re clearly related in many ways, but each sometimes requires — and deserves — separate consideration. How to do this, especially in the context of the new Sustainable Development Goals adopted at the UN in September, is an ongoing question. Goal 6 currently keeps the two together. While the human right to water has become a hot-button issue due to increased alarm over scarcity and threats of conflict, sanitation has grabbed fewer headlines and may be relegated to the status of a “poor cousin,” to borrow a phrase from Inga T. Winkler, a scholar in residence at the Center for Human Rights and Global Justice at the New York University School of Law. I was fortunate enough recently to attend a forum where she discussed her forthcoming academic paper outlining the evolution of the human right to water and sanitation, as well as the case for separation. Winkler is a prominent scholar in the human right to water and sanitation, having authored a seminal book on the subject and served as a legal advisor to the first UN Special Rapporteur on the Human Right to Water and Sanitation, Catarina de Albuquerque. 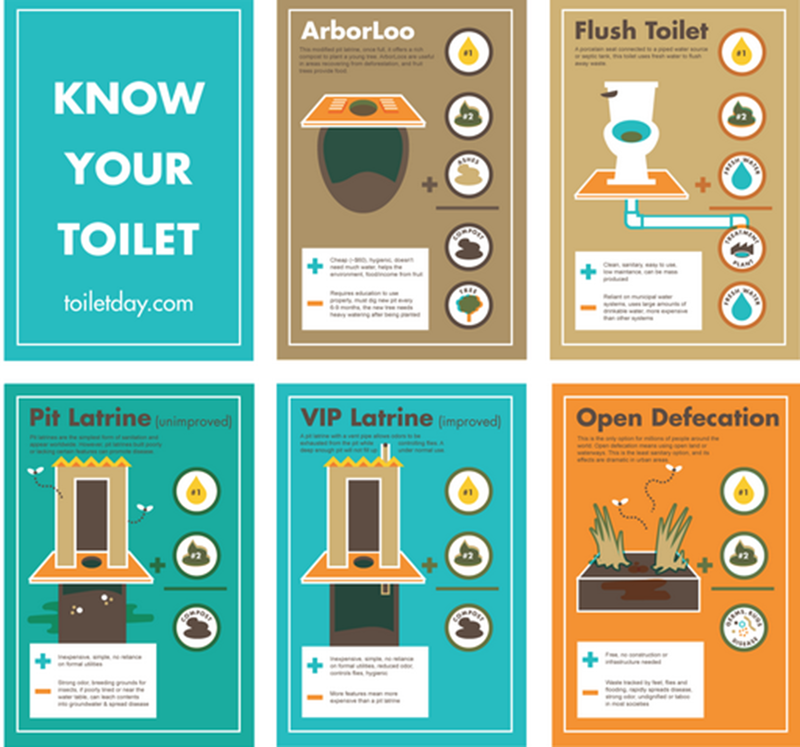 Open defecation and other problems of poor sanitation aren’t easy to talk about, but overcoming taboos through open discussion is crucial to making practical changes that save lives and help realize the human right to sanitation worldwide. 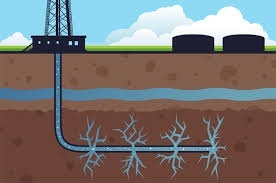 With hydraulic fracturing for oil and gas continuing to proliferate across the U.S., scientists and environmental activists are raising questions about whether millions of gallons of contaminated drilling fluids could be threatening water supplies and human health. In Brussels on Thursday, the European Commission unveiled 11 projects slated to receive €50 million to support their innovative responses to “water-related challenges” (to put a lot of different fish in one tank, so to speak). The projects involve 179 partners representing research organizations and private companies across 19 European countries. There’s a lot of variety in the types of work, as well. Three examples: smarter management of water distribution networks; biotech treatment of heavy metal pollution in wastewater; and new “aquaponic” systems combining aquaculture and hydroponics in agricultural production. You can see the project names and acronyms listed in the tags accompanying this post, and more description of each project can be found here. The funds come from the 2013 “Environment call” for projects of the European Union’s s Seventh Framework Programme for Research and Technological Development (FP7). 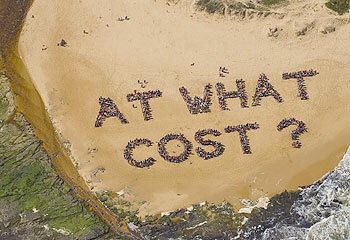 This brings total FP7 funding for water-related projects, 2007 – 2013, to more than €1 billion. A new funding initiative rolled out this month, the Horizon 2020 program, is expected to bring another €165 million to water projects in its first round of calls. 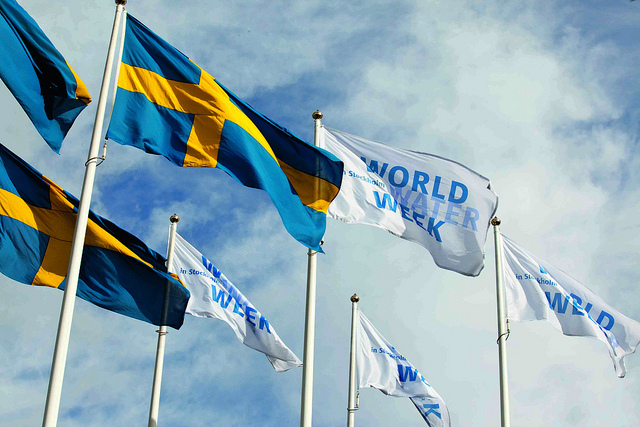 UN Water’s annual conference in Zaragoza, Spain, runs Monday, Jan. 13 through Thursday, Jan 16. This edition plumbs the depths of the relationship of water and energy as a run-up to World Water Day. The small city of Zaragoza is roughly midway between Madrid and Barcelona. I can’t make it to there myself, but I will be on the lookout for interesting news trickling out of the meetings. As with a lot of UN endeavors, the full name and description of the event are a mouthful (and you can read much, much more fairly dry stuff at the website): 2014 UN-Water Annual International Zaragoza Conference. 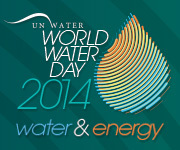 Preparing for World Water Day 2014: Partnerships for improving water and energy access, efficiency and sustainability. Or, because it’s easier to navigate and gives a sense of the topics, you can just read the agenda. 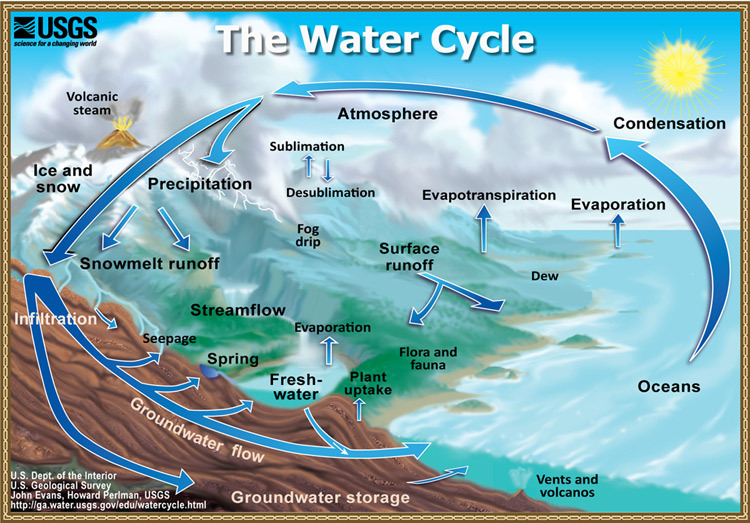 World Water Day is March 22. Of course it has its own website, too. The main “celebrations” — which include the release of a report and the bestowing of an award — will take place in Japan. Excuse me, my fellow American, but your drugs are in my tap water. And my drugs are in yours. The New Republic published an in-depth story today detailing the findings of major upcoming study: There are more pharmaceuticals in American tap water than drug companies thought possible. The estimates drug makers are required to make about their products’ environmental impact have been off the mark, at least in some cases, apparently. Researchers have been looking at the issue for about 10 years. It’s not news that the drugs flushed down people’s toilets have an impact on aquatic life. For example, trace amounts of hormonal drugs mess with frog and fish reproduction, and even gender characteristics. But this study, conducted by the U.S. Environmental Protection Agency and slated for January release in the journal Environmental Pollution, paints a clearer picture. The study, the largest of its kind ever conducted, shows surprisingly high levels of a surprisingly wide range of drugs. It tested water from 50 large waste-water treatment plants for 56 prescription and over-the-counter drugs. It found at least 25 drugs in more than half of the samples. The leading drug class? Blood pressure medications. Unfortunately, key questions about the situation remain unanswered so far, as the New Republic article indicates. Namely, what are the drugs doing to human health and ecosystems? What further testing and new regulatory conditions need to be put in place, and by whom? 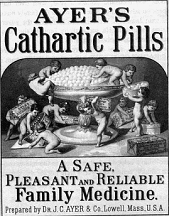 Is it feasible to remove the drugs? It’s all very murky, but the EPA and the Food and Drug Administration are working on additional studies.